The sun beat down on the waves, the waves beat over the reef, and Taj Burrow beat all comers to claim the Four Seasons Surfing Champions Trophy yesterday. The Australian narrowly edged out last year’s champion – and one of his childhood heroes – Shane Dorian, claiming the $10,000 prize and an automatic invite to defend his title in 2017. “It was relaxing on land, but intense in the water,” explained Burrow, having finished ahead of the field, which featured top international competition. 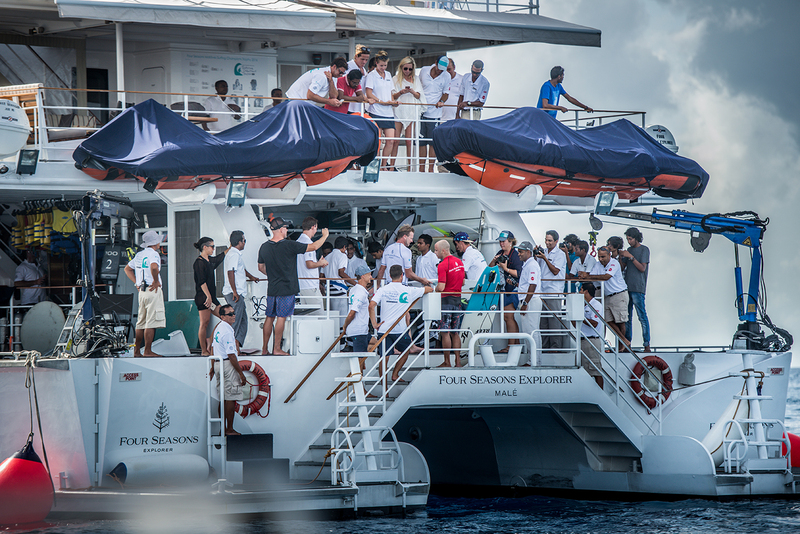 Returning to the Four Season’s Explorer yacht after the final – and taking time to dance to the traditional bodu beru drums being played in his honour – he described the event as “one of the best week’s of my life”. Having recently retired from the WSL Championship Tour, Burrow faced fellow tour veterans Dorian, Travis Logie and Rob Machado as well as the Maldives’ own surf champion Hussein ‘Iboo’ Areef, who became the first Maldivian to compete this year. Australian Jamie O’Brien and US surfer Bethany Hamilton made up the line-up, both of whom have brought the sport to the screen. O’Brien is well know as the star of the reality television series ‘Who is JOB’, while Hamilton’s inspirational journey to professional surfing after losing her arm in a shark attack was depicted in the 2011 film ‘Soul Surfer’. In this week’s unique event – using heat times based on age, across three different disciplines – Burrow emerged as the victor in both the single fin and thruster categories, with Dorian winning in the twin fin event. 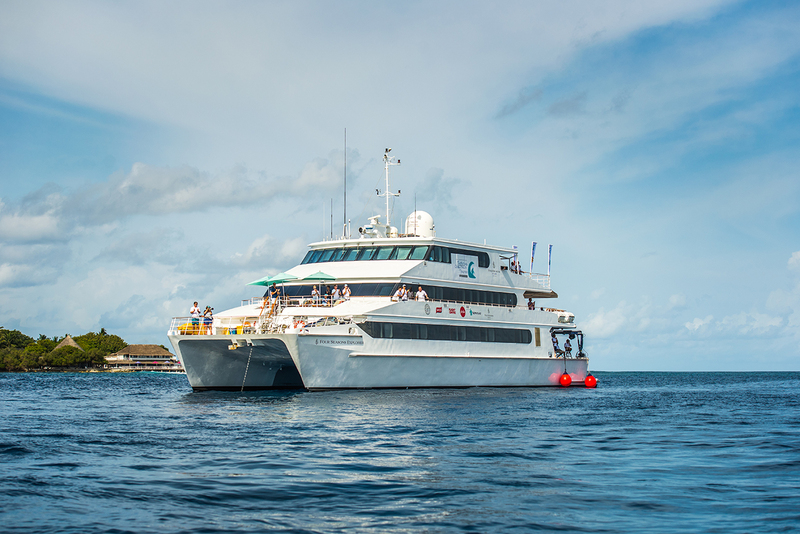 All participants, their families and competition judges spent the week in the nearby Four Seasons Kuda Huraa resort, before travelling with guests each day to the luxury surf vessel Explorer, which regularly offers surf cruises throughout the atolls. “Everyone at this contest rips so hard, once you’re off tour it’s rare to be around people who surf at this level, it’s so cool to see, especially making everyone surf single and twin fin boards,” said Australian-born American surfer Rob Machado. Anchored just off the island of Thamburudhoo, with its unique left and right-handed breaks, the professionals put on a show throughout the week in the Maldives’ primary surfing neighbourhood. Locals and visitors alike gathered over the reef to see the action, queuing up to get back on the popular waves within moments of the horn sounding the end of the grand finale.